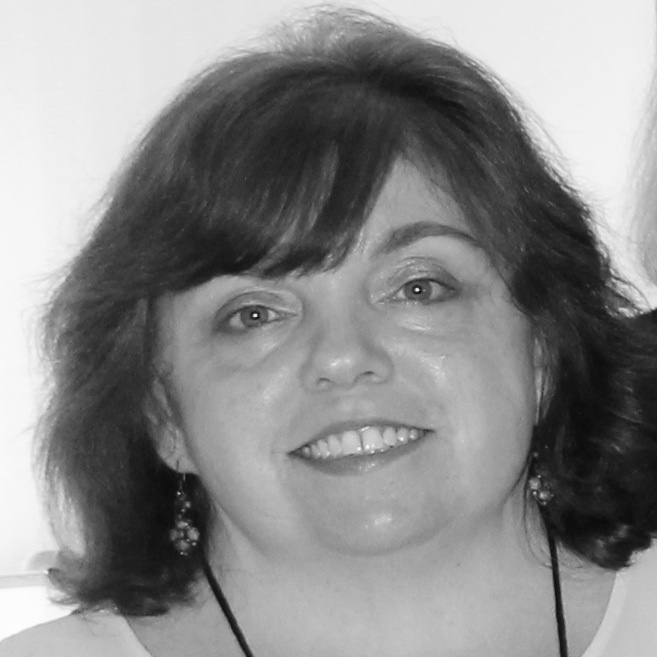 Sherry: As we’ve mentioned in other posts it was through Julie Hennrikus, Crime Bake and the New England chapter of Sisters in Crime that the Wickeds know each other. I’d like to list all of the fabulous people I’ve met through Crime Bake but it just isn’t possible. And beyond just meeting them, they’ve been mentors and friends, generous with their time and talents. I’ve had manuscript reviews that were invaluable. I will never forget Hallie Ephron‘s advice to make sure my protagonist is smart. I met my agent, John Talbot, at Crime Bake last year. This year I have a book deal, and next year my book,Tagged for Death, will be out. 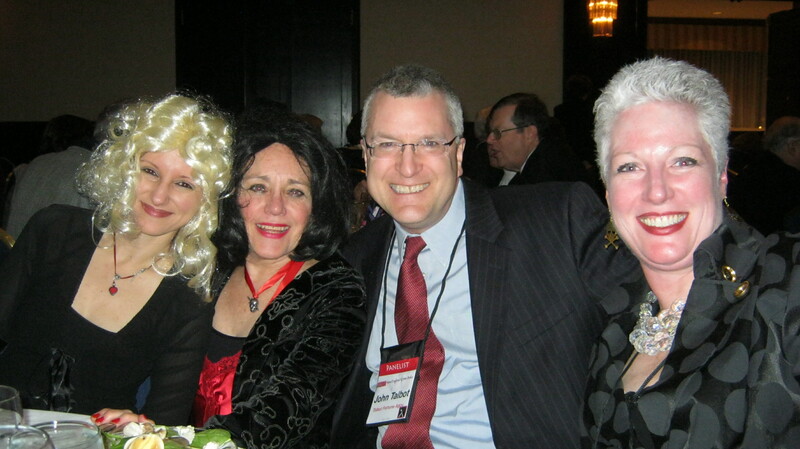 Liz, Edith, John Talbot, and Julie in costume at last year’s banquet. about banquet costumes and dancing? — and you make connections that last. 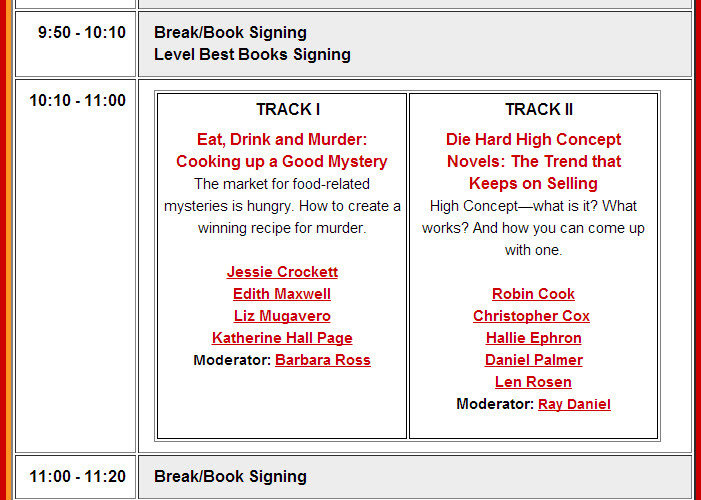 Liz: I adore Crime Bake – it’s my absolute favorite conference. I’ve been going for 10 years, so I feel like I grew up there from wanna-be writer not knowing anyone to published and grateful for so many amazing friends I’ve met over the years. It’s small enough that it’s not overwhelming if you’re new, yet it’s chock-full of great info and awesome for networking. I look forward to November every year! Jessie: Attending my first Crime Bake made me feel like a real writer for the first time in my life. Until then my dream of becoming published was more wishful thinking than useful action. Something about sending in the check and setting aside the time to participate told me and everyone else in my life that writing was a priority. And once I got there it was exactly the type of environment that made me certain I was heading in the right direction. It was friendly, inspiring, informative and celebratory. Each time I tuned in to conversations around me people were enthusiastically discussing craft, business and projects. I was especially struck by the heart-felt congratulations I was hearing from one writer to another when someone had a publishing success to share. Crime Bake was, and still is, attended by genuinely kind people who know their success is not diminished by someone else’s. Helping hands and words of wisdom are the norm at this conference. I can’t think of a better way to launch a writing career than to attend the Crime Bake. Barb: I’ve been going to the New England Crime Bake for about five years and I find my reason for going has morphed over time. In the beginning, when I was a newbie, it was the Master Classes and the Manuscript Critique. Then, once I had a manuscript, it was the Agents and Editors sessions and the opportunity to practice my pitch in a safe environment, and then to pitch for real. Now we’ve come full cycle and I’m in my second year as co-chair and I’m moderating a panel. Next year, I intend to rest on my laurels–but I’ll still be back. If you’re thinking of going, now is the time to sign up! Some Master Classes are almost full and the early bird pricing ends on September 15. Julie: I missed the very first New England Crime Bake, but have been every year since. When I first went I was such a newbie, and just looking forward to meeting other mystery writers. I was in awe–meeting people whose series I had read, hearing from different writers about their paths to publishing. Twelve years later, I still get star struck. But many of those writers have become my friends, and my community. And now I am on the committee, and blown away by the hard work this group of volunteers does to pull this off. My favorite part? I am always inspired and reinvigorated. I can’t say it enough–this is a great conference for writers, readers, librarians, and fans. And it doesn’t matter what your skill level is–there is something for everyone. Join us in November! I’ve always thought that Crime Bake is a near-perfect conference (perfect being the one where a Really Famous Author comes up to me and says, “I love your books!”). It’s the right size, small enough that you can talk to people and you don’t feel overwhelmed. It’s a great mix of writers, from hopeful beginners to multi-published. The sessions offered are all interesting and timely, to keep pace with the changing publishing industry. What more you could ask? My favorite memory of Crime Bake was dressing up with Liz for the Red and Black Vampire Ball I had such a wonderful time. As a fan I am looking forward to this year to see Liz and others on the panel and to attend the banquet. Crime Bake has such wonderful energy. Even if you are not a writer it is still loads of fun for the creative spirit, artist, fan and reader. love Crime Bake! And I was lucky enough to have a famous author come up to me last year to say she loved my book! That would be thrilling, Sandy! Maybe it will happen to me some day!! Crime Bake is the best! I was a founding member and haven’t missed one yet! It’s where I got to meet all you wonderful writers! I didn’t realize you were a founding member Ruth! It’s such a special conference so thank you for getting it started! Of course I should mention that I know you from SinC too! So happy that there’s still room to register (just did that) and I’ll get to attend this. I’ve done more than a hundred conferences over the years – and been a presenter at many – but this is my first as an author and for this purpose. That makes it more like a first conference.